Tag Archives for " Nathan Ellering "
That back burner of yours has a lot on it, doesn’t it? Unfortunately, it’s easy to let creating content for your small business fizzle out at the tail end of your to-do list. But what if there was an easier way to not only publish more content but do it faster and with next to no resources? Would you reprioritize your to-do list to polish your content creation process? Add more tools or people into your content creation process. This means using the right tools for planning, like ditching your spreadsheet for a project management tool designed to help you work more efficiently. Outsource straightforward tasks like social media scheduling to a virtual assistant to save your valuable time for creating more content. Use the time you spend writing more efficiently. Many people are more productive in the mornings, so that may be the best time for you to write faster than in an afternoon when you’ve worn yourself out. Part of this may involve critically analyzing the steps involved in your content creation process, too, to focus your preparation and workflow on the tasks that really make a difference instead of just doing the same things you’ve always done. Eliminate something or hone in on what really This means picking a single audience to target and making sure every topic you cover connects deeply into solving that specific persona’s challenges. You could also remove unnecessary steps from your workflow to make everything flow even faster. You’re thinking, “That’s all fine and dandy… but how can I make this work for my small business, really?” Well, my friend, let’s explore that even further. If you want to publish more content, you need to publish more content. It may seem obvious but from my conversations with dozens of marketers… it’s not. You need to spend time honing your content creation process to be able to create more content faster. This takes two commitments: Acquiring skill and turning that skill into a consistent habit. 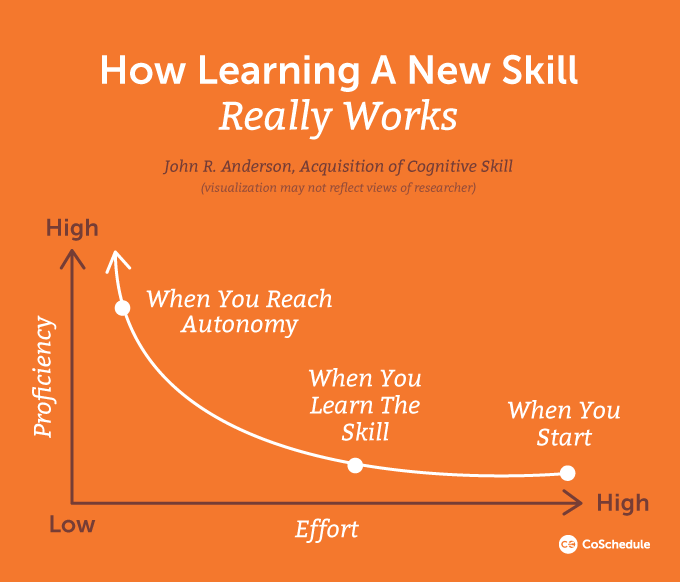 Researchers have found it takes at least 100 hours of practice before you learn a skill beyond producing a crude version of the desired behavior. That means the only way to publish more content is to practice publishing more content. And as you publish more, those same researchers suggest you will smooth out your process, remove errors from your execution, and indefinitely improve as you continue using the skill. That whole indefinitely bit ties nicely into habit formation. Consistency is important for success in marketing, and habits make it possible to be consistent. 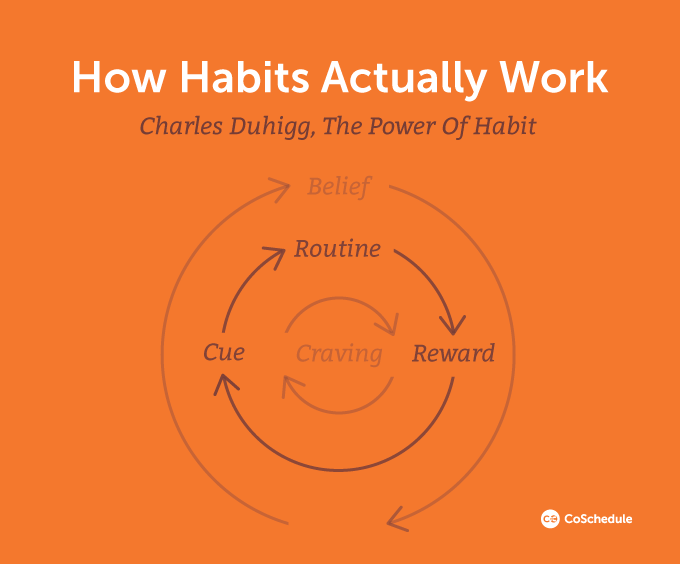 According to Charles Duhigg in his book, The Power of Habit, your brain literally works less after you build habits. It’s as if your brain needs habits so it doesn’t have to think so hard about every little detail. Cue: A trigger that sparks the habit. This could be a day (if you always write on Mondays) or a time (if you always write in the mornings the moment you get into the office). Routine: After the cue, this is the process you consistently follow every time (writing headlines, then introduction, then the body). Reward: The great feeling you get after you follow your routine (Yay! I did it and didn’t put it on the backburner!). Craving: The desire to do the routine again and again to experience the reward. This is where habits become consistent instead of just one-at-a-time activities. Belief: Probably the biggest necessity to committing to a habit—the faith in the habit that it will produce the reward you’d love to continue experiencing. In other words, you need to commit to spending time building the skill to publish more content. As you do that, you will start to build a process—with clear habits—that literally cut the amount of time you need to write content and make the entire process easier. To do that, you need to believe in your system as you start. You will hit snags. But you have to use those lessons to learn from your mistakes and continue on. 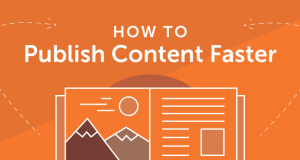 You have to have faith in your content creation process to succeed in publishing more content consistently. Those who write things down are more successful, so make the most efficient use of your time by planning the work you’ll do rather than reacting to fire drills and sporadic tasks. Marcus Sheridan of The Sales Lion uses a simple prioritization method to make sure he uses his time as efficiently as possible. For the content you’ve planned, rank it all from 1 to 3. A 1 rank means the content may bring inbound traffic, but may not convert. A 3 is the best; a project that will definitely help you increase sales and leads. Work on your 3 ranked projects first. Atul Gawande, author of The Checklist Manifesto, suggests creating checklists for larger projects helps you make sure nothing gets missed. You’ll cross your Ts and dot your Is while breaking a large, intimidating project into smaller, achievable tasks. There’s a concept in the startup world called the minimum viable project. It suggests that you can publish content quickly by removing unnecessary—possibly overzealous—tasks from your checklist. At CoSchedule, we’ve found starting with content outlines helps you plan your topic more effectively, stay on point more consistently, and ultimately write faster. Improve what you’ve written with keywords to help your audience find your content when they need it. Add strong visuals to get 94% more page views. 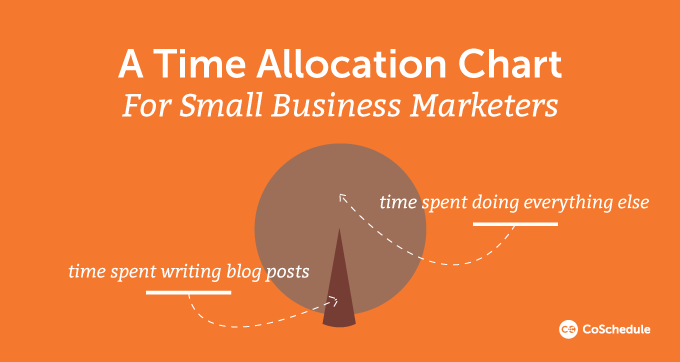 Optimize to make the most out of the time you invest into your content creation process. Automate your social media posting schedule with a tool like CoSchedule or even outsource it to a virtual assistant to spend less time sharing your content. Just make sure to promote the work you’ve produced to help your audience find it. Part of building your skill involves continuous improvement. After you publish, ask yourself what went well, what went wrong, and what you can improve next time. An easy way to commit to publishing more content consistently is to use a marketing calendar. You’ve got this! Start, commit to honing your content creation process, build consistent habits, and let ‘er rip. Nathan Ellering is the content marketing lead at CoSchedule, the marketing calendar for everything.